When it comes to travel YouTube is one of the platforms where consumers engage the most when planing and researching a trip. The infographics below shows some interesting figures from research Google released last year with Ipsos MediaCT. 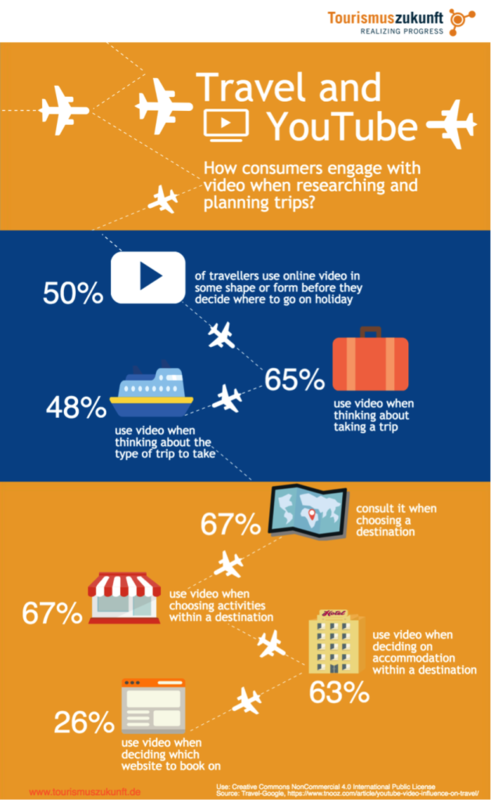 They reveal that many of the consumers use video not only for inspiration but also for information in different phases of the travel cycle.